All of the media reports I have read praise this move from the Tigers’ vantage point. What surprised me last night was the immediate reaction from Tigers fans who, with perhaps one or two exceptions, were glad to see Prince shown the door. The prevailing reasons for that view all seemed to involve Fielder’s poor performance in the postseason. Plenty of people posted the image of Fielder’s baserunning flop in the ALCS. They should know that Kinsler had his share of faux pas on the basepaths this past season too. This reminds me a little bit of the Detroit Pistons trading Chauncey Billups because of the perception that he didn’t show up in the playoffs. Speaking of the playoffs, the only thing the Pistons have to show for themselves in that regard after the Billups trade is getting swept in the first round the following year. They haven’t been back to the postseason since then. The Tigers aren’t going to miss the postseason because they traded Fielder. Fielder wasn’t the reason they didn’t win the World Series these past two seasons either, though. 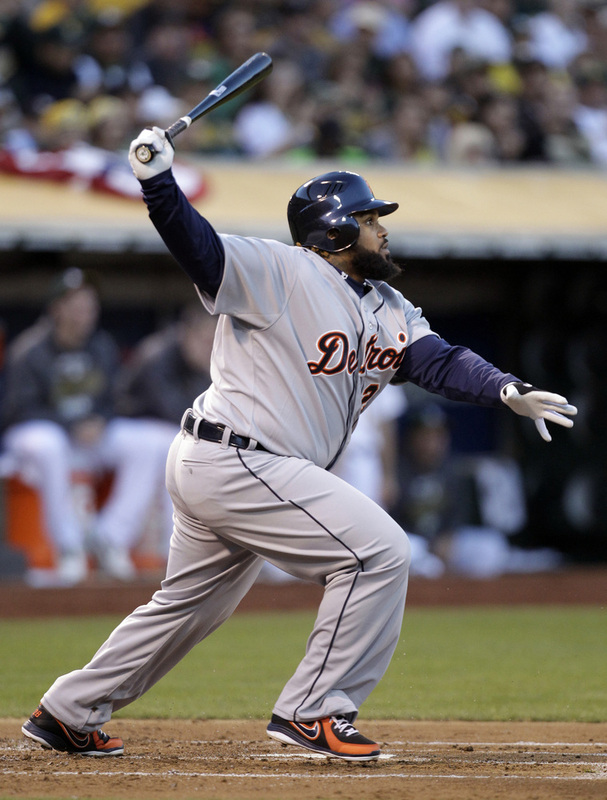 Fielder didn’t give up any David Ortiz grand slams. 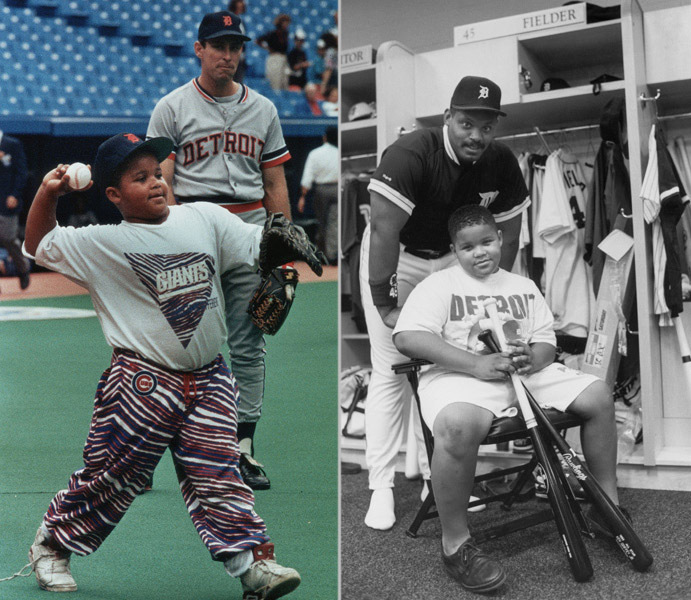 Prince Fielder was Tigers royalty, and, although his contract was expensive, his arrival in Detroit signaled the team’s new and strong commitment to winning a championship very soon. His departure does not signal an abandonment of that goal, by any means. As the 2013 Giants and Nationals remind us, however, there’s no guarantee that any team even makes the postseason. Ian Kinsler is a second baseman. Before last night, I never considered the notion that the Tigers had a need to address at second base. (Omar Infante had a very solid year at second for Detroit, and although he is a free agent, he is not going to be as expensive as Kinsler.) They certainly have a hole in left field that needs addressing, and when I saw that the Rangers already had been contemplating moving Kinsler to left, I started to understand some of the possible logic behind this move. No one analyzing this trade is talking about Kinsler as a left fielder, though. Placing him at second base means Infante will be departing as well. Freeing up over $75 million, which the Tigers did by moving all but $30 million of Fielder’s salary to Arlington, is a good idea when you’re trying to make headway on resigning reigning Cy Young-winner Max Scherzer to what surely will be a rich contract, and maybe there was no other team that would take Prince and the bulk of his contract, but Kinsler does not otherwise address any obvious need for Detroit. He’s worse than Infante both from a defensive and offensive perspective. And, as noted, he’s more expensive. The best way to judge a trade, of course, is to take a broader view and examine what the exchange will allow the team to do. One positive is that Miguel Cabrera will be able to shift from third base to first base, a move that should allow him to stay healthier than he was at the end of last season and continue to do what he does better than anyone, which is hit baseballs. As mentioned, there obviously is the money aspect. All told, I would rather have Scherzer than Fielder, if I had to pick between the two, but I don’t know that that’s a rational position. In addition to their preexisting needs in left field and the bullpen, the Tigers now need a third baseman. Many are pointing to the franchise’s top prospect, Nick Castellanos, as the one to fill that role. While it’s nice to be able to promote from within, Castellanos is unproven at the major-league level, and, as the team learned in 2013 with Bruce Rondon, minor-league success is no guarantee of big-league results. From the Tigers perspective, this can simply be looked at as swapping Fielder for Kinsler and the right to re-spend $76 million on something else. And there’s just no way that’s not a huge win for the Tigers. Even though he was only a member of the team for two years, it’s remarkably hard for me to imagine this team without Prince Fielder. While Justin Verlander tweeted out the news right away, it’s difficult for me to believe Miguel Cabrera had a positive reaction to this change. This morning, Tigers fans awake knowing there will be fewer smiles and pajamas worn on the field next year at Comerica Park, where the burgeoning nacho population will likely grow unchecked. Farewell, sweet Prince. This entry was posted in ALDLAND and tagged cbs, chauncey billups, dave cameron, dave dombrowski, detroit, ian kinsler, max scherzer, miguel cabrera, mlb, nick castellanos, omar infante, prince fielder, rangers, texas, tigers by AD. Bookmark the permalink. It looks like my prediction was correct. Cabrera is posting without comment pictures of him and Prince on Twitter this afternoon. Recordando a un buen amigo,todo el exito del Mundo en su Nuevo equipo……recordar es vivir!!! Q momentos inolvidables mi Hermano..
BYB has collected some of the photos here.